During Operation Crusader, the division very successfully defended Bir el Gobi against the British 22nd Armoured Brigade, inflicting heavy losses on the inexperienced British forces. On 23 November, the 15th Panzer Division moved on to attack the 5th South African Brigade defending Sidi Rezegh and that evening, the Ariete with the 8th Bersaglieri Regiment came up in support and the ridge was taken. Nearly 3,400 prisoners were taken in this attack. During 29–30 November, the Ariete and supporting Italian infantry and motorcycle units were responsible for capturing a considerable number of New Zealand, Indian and British troops during the Italo-German counter-attacks. Recalling the loss of the 21st Battalion, Lieutenant-Colonel Howard Kippenberger, who later rose to command the 2nd New Zealand Division, wrote that, "About 5.30 p.m. damned Italian Motorized Division (Ariete) turned up. They passed with five tanks leading, twenty following, and a huge column of transport and guns, and rolled straight over our infantry on Point 175." When the battle led to the retreat of the Axis forces to the Gazala Line, the Ariete went on the attack. The Italian armoured division, augmented by 23 tanks of the 15th Panzer Division and supported by Bersaglieri motorcycle troops, lost no time in assaulting the pursuing Commonwealth forces. Between them, they overran the 1st Battalion, The Buffs (Royal East Kent Regiment) and part of the 5th Indian Brigade, taking according to one estimate 1,000 prisoners in the counter-attack. Nevertheless, the British were able to recover from this setback and the Ariete retreated through the Djebel Mountain towards el Agheila. By this time the division had lost almost all its tanks. Enemy tanks broke through South of Ariete Division. Ariete thus surrounded, located 5 kilometers north east of Bir-el-Abd. Ariete tanks keep on fighting! On 21 November 1942, the division was disbanded, and its name kept by a task force gathering up its remnants, which kept fighting throughout the retreat and subsequent battle of Tunisia. It was forced to surrender along with the rest of the Axis army in North Africa. 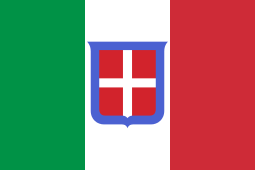 The division was moved to central Italy following the fall of Benito Mussolini's government and took part to the defence of Rome from 8 to 10 September 1943, counter-attacking German Panzergrenadiers and Paratroopers. Because the Headquarters decided to avoid unnecessary sacrifices and losses, the division was ordered to surrender and was then disbanded. On 1 October 1968 the brigade headquarters were disbanded and the divisions returned to its former structure. The Ariete Armored Division was part of the 5th Army Corps based in North-Eastern Italy. The 5th Army Corps was tasked with defending the Italian-Yugoslavian border against possible attacks by either the Warsaw Pact, or Yugoslavia or both. The Ariete Armored Division was based in the middle of the potential front. ↑ Italians passed to counter-attack along the whole line (The Bologna Division: 19 November – 10 December, 1941) By David Aldea & Joseph Peluso, Comando Supremo: Italy at War. ↑ Under a Fading Moon, (First Battle of El Alamein), David Aldea, Comando Supremo, Italy At War.